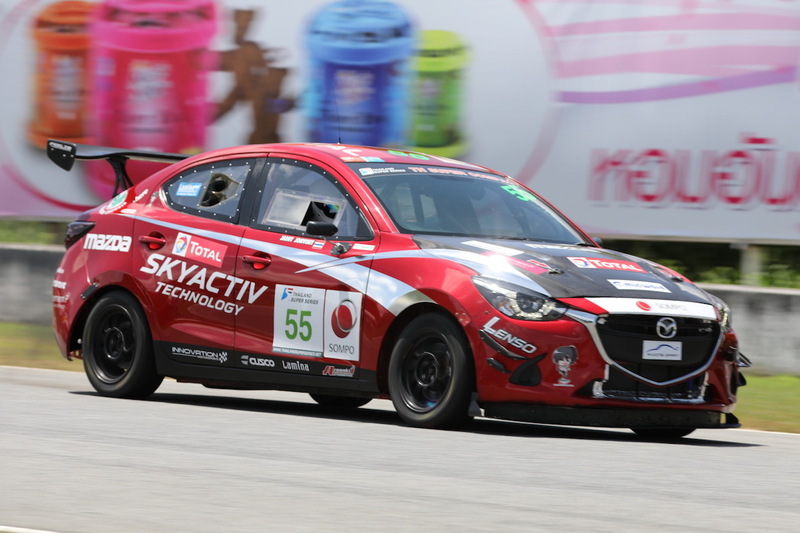 Rounds 5-6 of the Thailand Super Series was held over August 31st to September 2nd at Bira International Circuit where the official team of Mazda Sales Thailand, Innovation Motorsports’ Mazda 2 SKYACTIV-D entry took victory in round 6. This brings them one step closer to securing the championship. 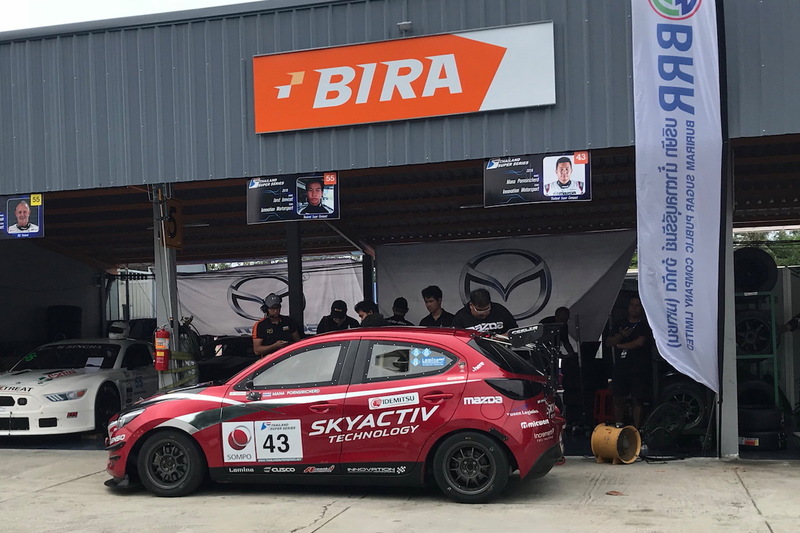 Pira Circuit, which is located close to the international resort town of Pattaya Beach, which is approximately 1-hours drive from the capital of Bangkok, is the home course of the Innovation Motorsports team. 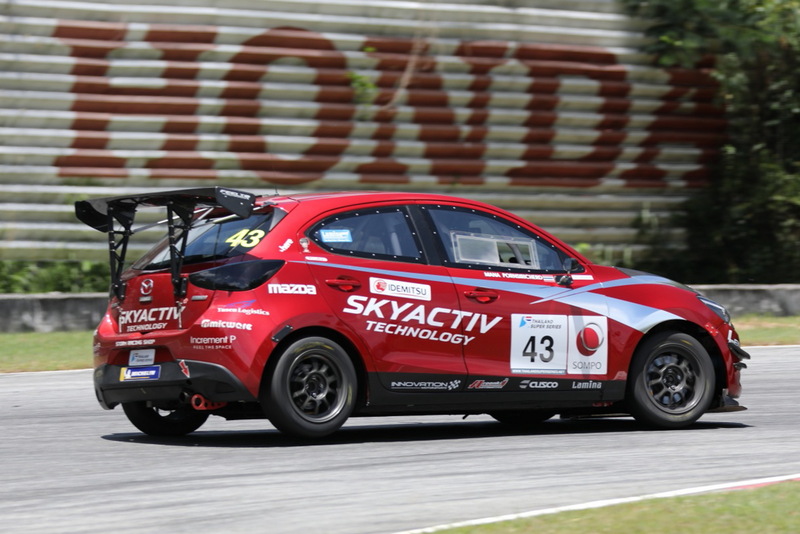 For this race they entered two Mazda 2 SKYACTIV-Ds into the fray. 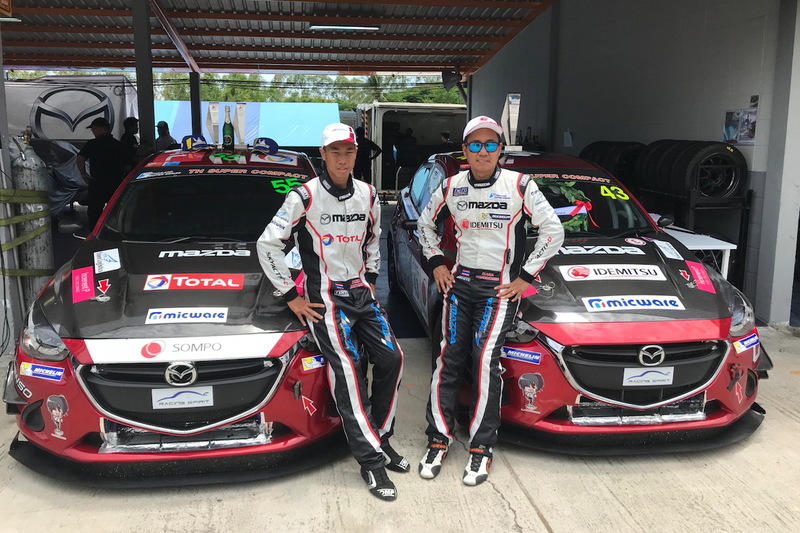 Driving the #43 was veteran Mana Pornsiricherd and taking the wheel of the #55 was 17-year old rookie, Jarut Jonviset, with each carrying a handicap weight of 10kg and 50kg respectively. Despite being a rookie, Jarut took victory in round 1 and has thus been competing the rest of the season carrying a heavy ballast. In the official qualifying session held on the 31st, Mana qualified 4th and Jarut 6th. 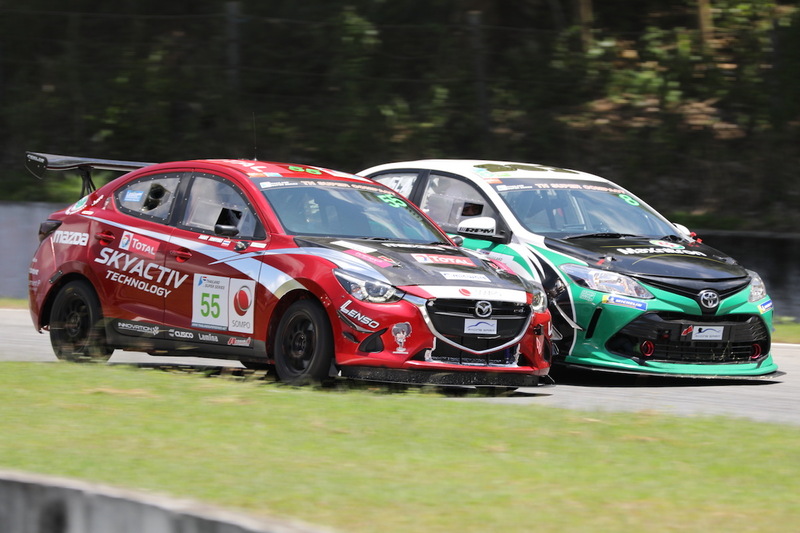 In round 5 held on the 1st, Mana immediately moved into 2nd and Jarut into 5th upon race start but briefly relinquished positions to their rivals later into the race. 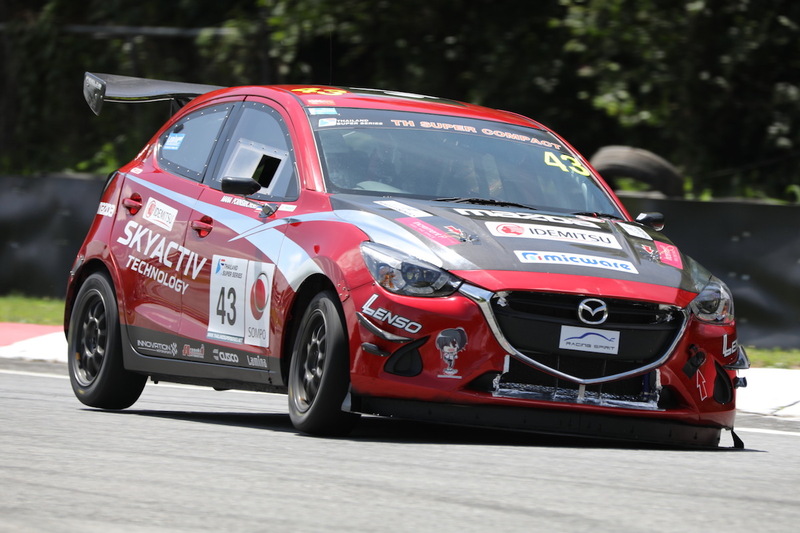 However, in the final lap Mana moved back up to 4th and Jarut 5th before passing the checkered flag. After the race, a rival was judged to have committed a course violation and this lifted Mana up to 3rd. Unfortunately Jarut was also handed a course penalty and dropped down to 7th. In the 25-lap round 6 race held on the 2nd, Mana started from 3rd on the grid and carried out a blistering start to leap into the race lead. From then on the more powerful Hondas carried out a fierce pursuit and for a time he fell back down to 3rd. However, as the temperature heated up the Hondas appeared to lose pace. Mana took advantage of this opportunity and with a feverish run managed to pass the Honda in 2nd in the final lap. After that, the machine in 1st was handled a penalty and this resulted in Mana taking race victory. Veteran Mana’s technique was on full display during this race. Jarut started the race in 7th and maintained this position until the finish line. “I’m happy that I was able to finish in 3rd and 1st this weekend. Pira Circuit is quite narrow and so there were a lot of course violations, which worked out for me. 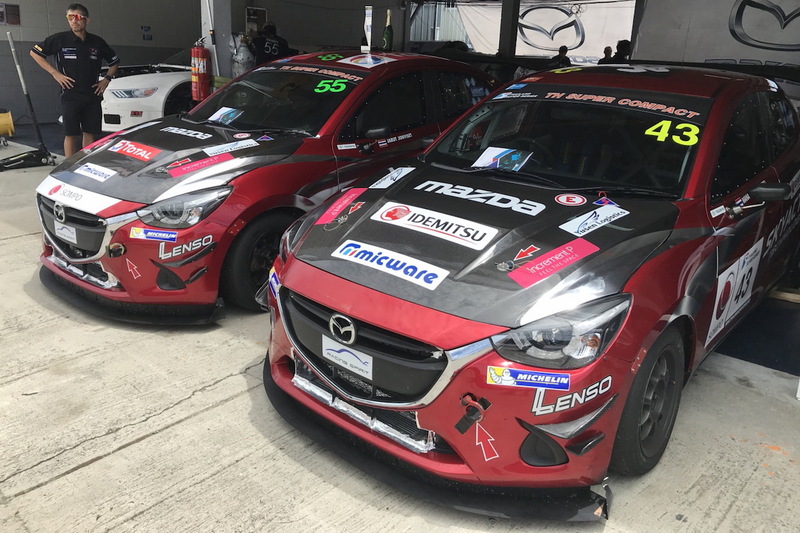 I don’t think I could ask for any more from the competitive Mazda 2 but the rest of the field is starting to increase in speed so the competition is getting very fierce. To be able to get good results under these circumstances is really great. 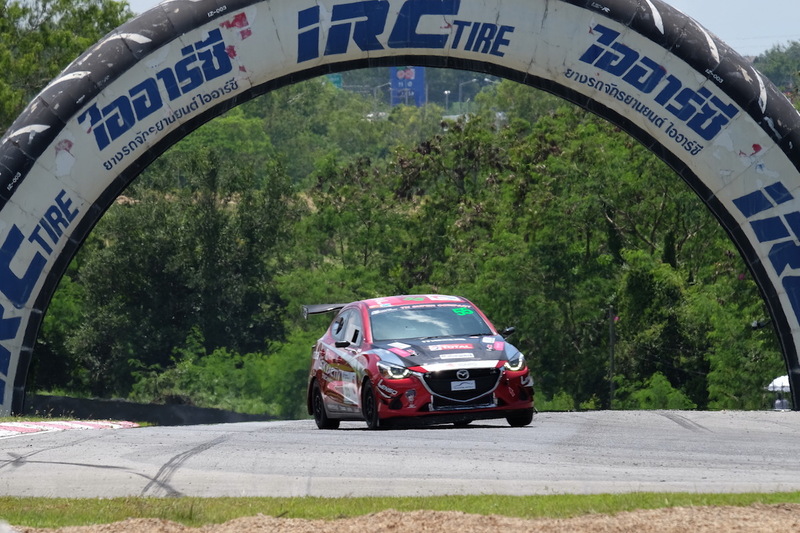 I have my eyes set on taking the championship at the last round at Buriram. 12/13 Mazda BT50 Achieves Turnaround Victory at Super Pickup Race Round 7. Bangsaen Speed Festival 2014. 10/27 The RE Sound Roars Across Australia’s Eastern Creek.